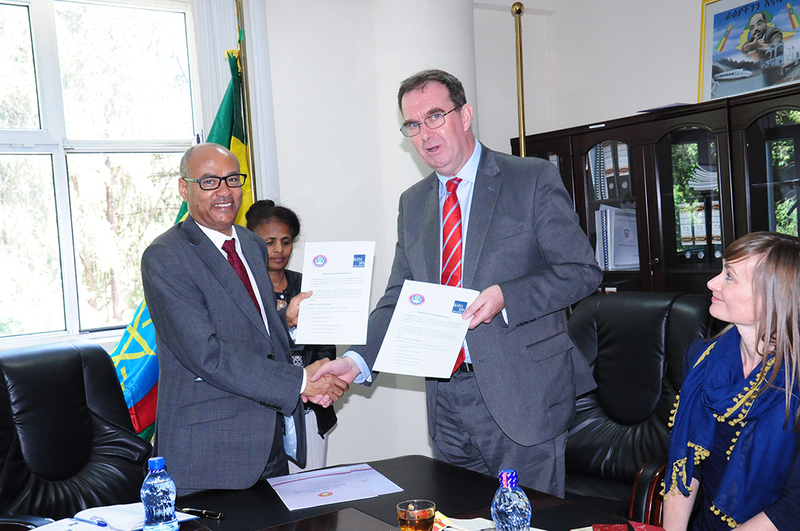 Addis Ababa University (AAU) and Bath Spa University of United Kingdom signed cooperation agreement on November 30, 2018 at the AAU President Office. Prof. Tassew W/Hanna, AAU President, and Terence Jagger, Chair of Governors of Bath Spa University, signed the agreement on behalves of the two parties. The agreement entails technical collaboration that includes staff exchange, student exchange, joint research, entrepreneurial activities and research funding. 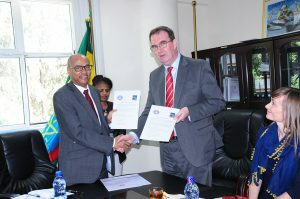 Addis Ababa University and Bath Spa University (‘BSU’) have a common purpose in the development and dissemination of knowledge and the provision of service to their respective communities. The two institutions will encourage potential co-operation in any discipline which is studied in both institutions. Bath Spa University is a public university in Bath, England, with its main campus based at Newton Park on Duchy of Cornwall land. It is the UK’s sixth biggest provider of Teacher Education.